How does the emaciated Nigerian ‘witch child’ look today? 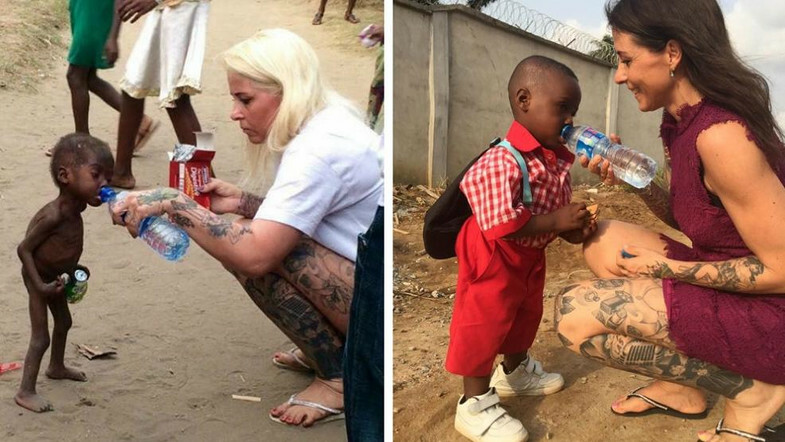 It is about a year since the photo of a Danish aid worker giving water to an emaciated Nigerian toddler went viral. The child was visibly weak, his limbs little more than flesh and bone. But a year later the same child has recovered and will be attending school. The boy, who was abandoned by his parents in Nigeria after being accused of being a witch, was rescued by Anja Ringgren Loven suffering from severe malnutrition. “We’ve seen both frightened, tortured and even dead children,” Loven, co-founder of the African Children’s Aid Education and Development Foundation, described in a 2016 blog post. That’s when she first met the little boy she now calls Hope. Loven shared a photo of herself giving water to Hope that went viral, spreading his story around the world. Now, more than a year after the famous photo was taken, the 3-year-old boy is unrecognizable. In the updated photo, a healthier looking Hope was wearing a red jumper, white sneakers and a black backpack, taking a sip of water from a bottle – just like he did in the original.